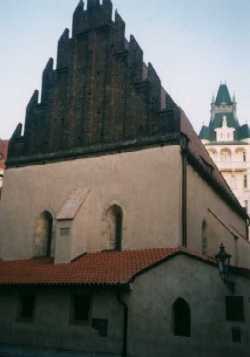 The gothic Old New Synagogue dates from 1270 and is the oldest synagogue still standing in Europe. 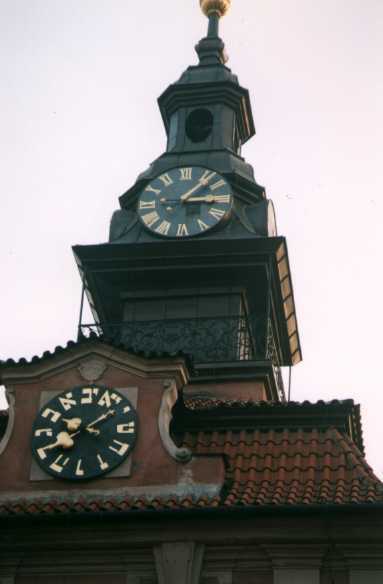 This synagogue was initially called the New Synagogue until another synagogue was built. 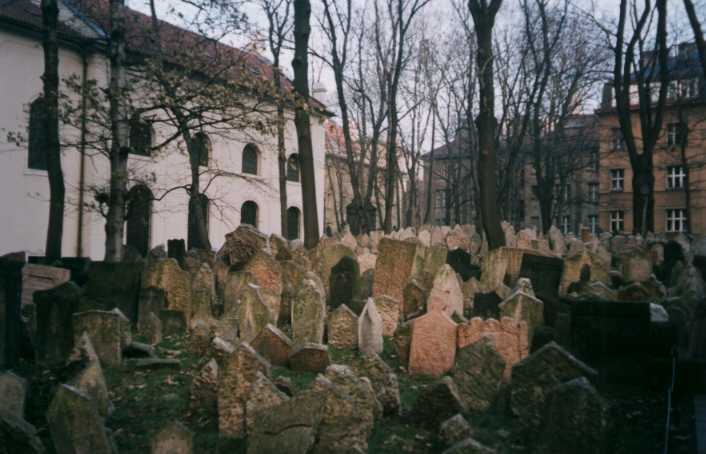 The Old Jewish Cemetery which was the only Jewish burial ground available to Prague Jews for some 300 years. The last burial was performed in this cemetery in 1787 after which the New Jewish Cemetery (part of the Olsany Cemeteries) was established. 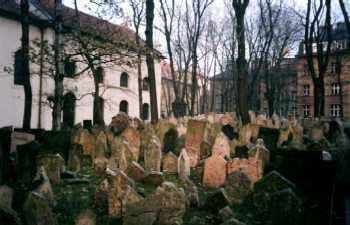 The white building behind the grave stones is the Klausen Synagogue. A view of the grave stones in the Old Jewish Cemetery, through the trees. 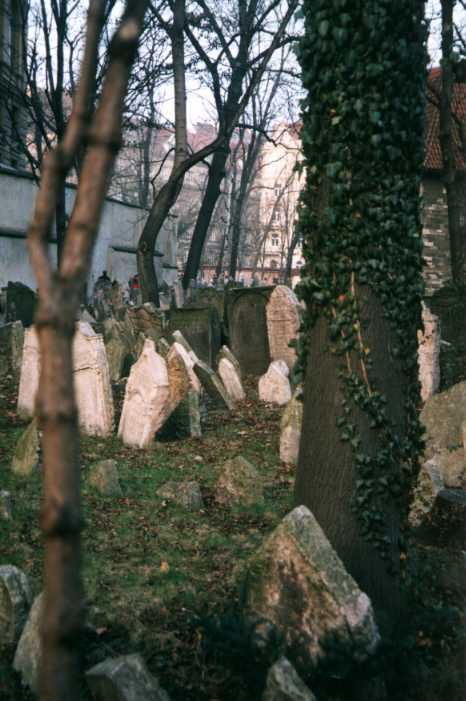 The grave stones are so close together because lack of space in the cemetery meant the dead had to be buried in layers, on top of one another. When a new layer was added the existing grave stones were removed, dirt was brought in and placed on top and then the grave stones were be replaced. A new grave stone was added for each new burial. Left is the Spanish Synagogue, built in a Moorish style, which was reopened in December 1998 after an extensive refurbishment. 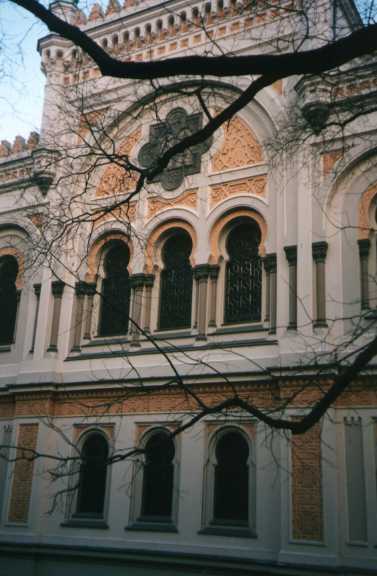 This is the newest synagogue in the Jewish Quarter, dating from 1868. 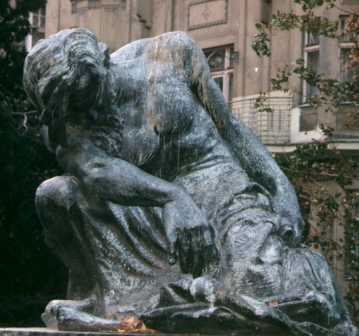 "Moses Dreaming of Adam" sculpted by Frantisek Bilek in 1905 - a statue in the small park next to the Old New Synagogue.